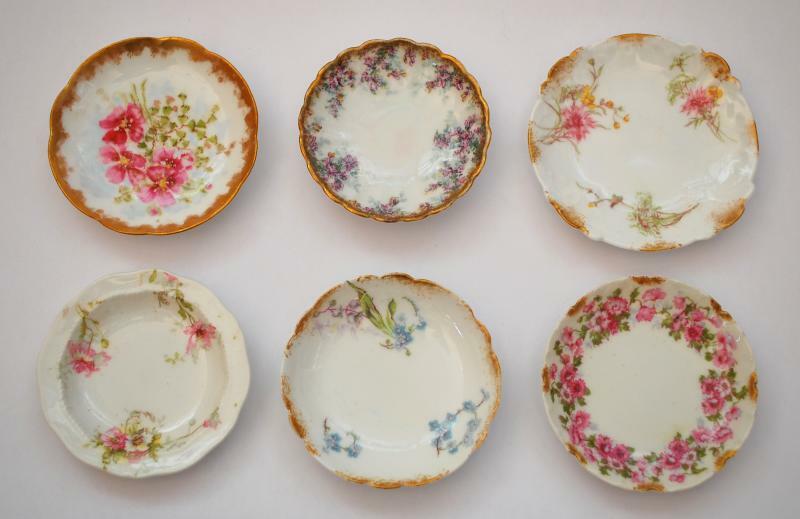 ANTIQUE CHINA AND GLASS BUTTER PATS c.1870 - 1920. 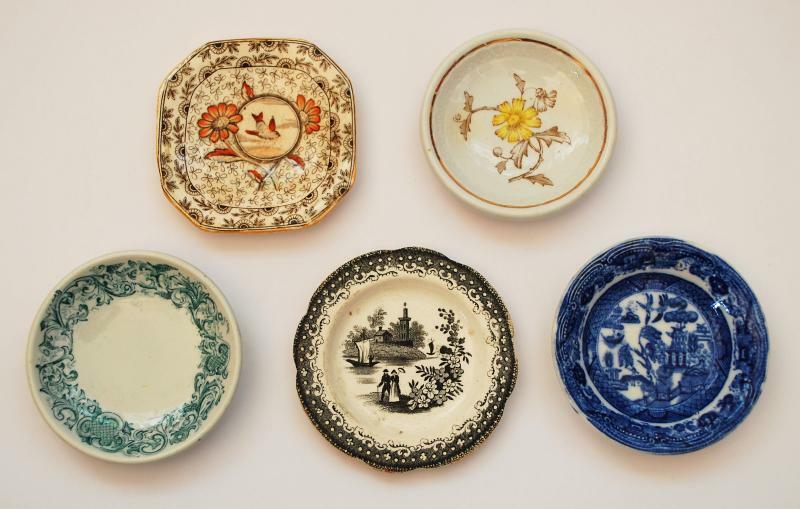 Butter pats, which measure about 2 1/2 to 3 1/2 inches in diameter, were used at each place setting to hold an individual serving of butter. 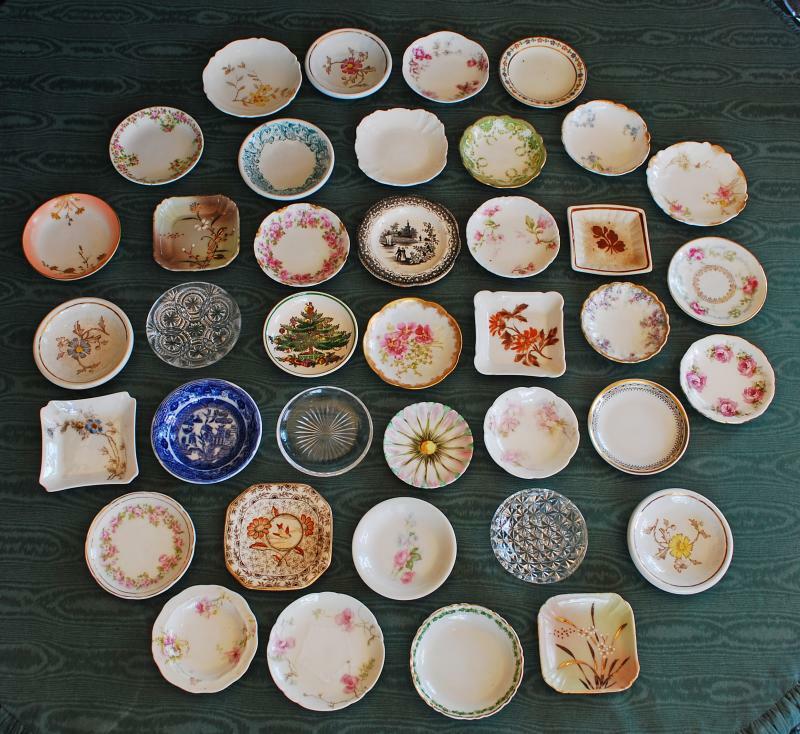 LIMOGES CHINA BUTTER PATS c.1890 - 1910 ENGLISH TRANSFERWARE CHINA BUTTER PATS c.1870 - 1910. 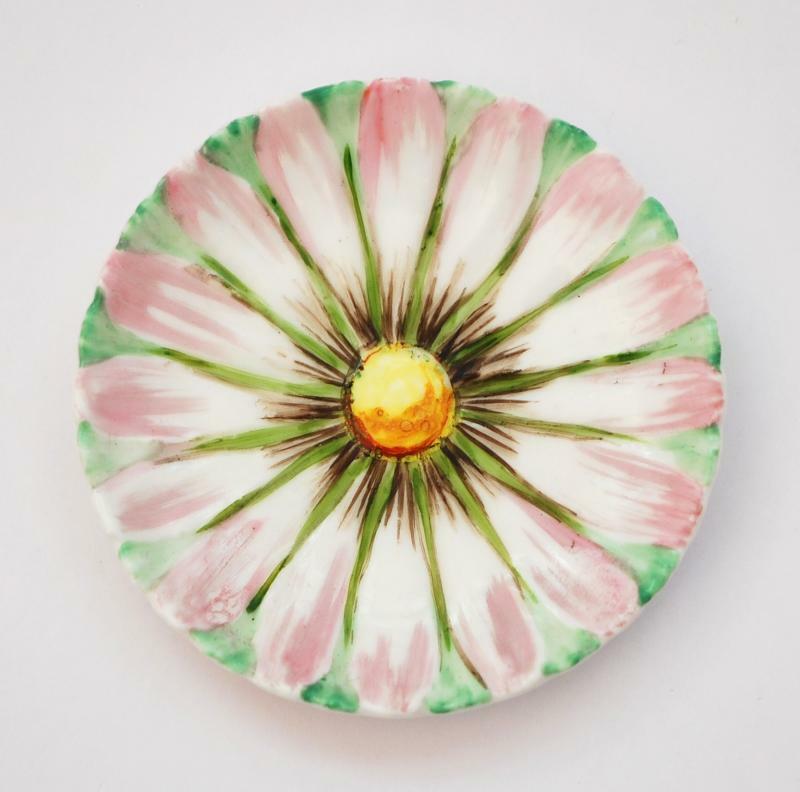 LIMOGES HAND PAINTED CHINA BUTTER PAT - DATED 1884. 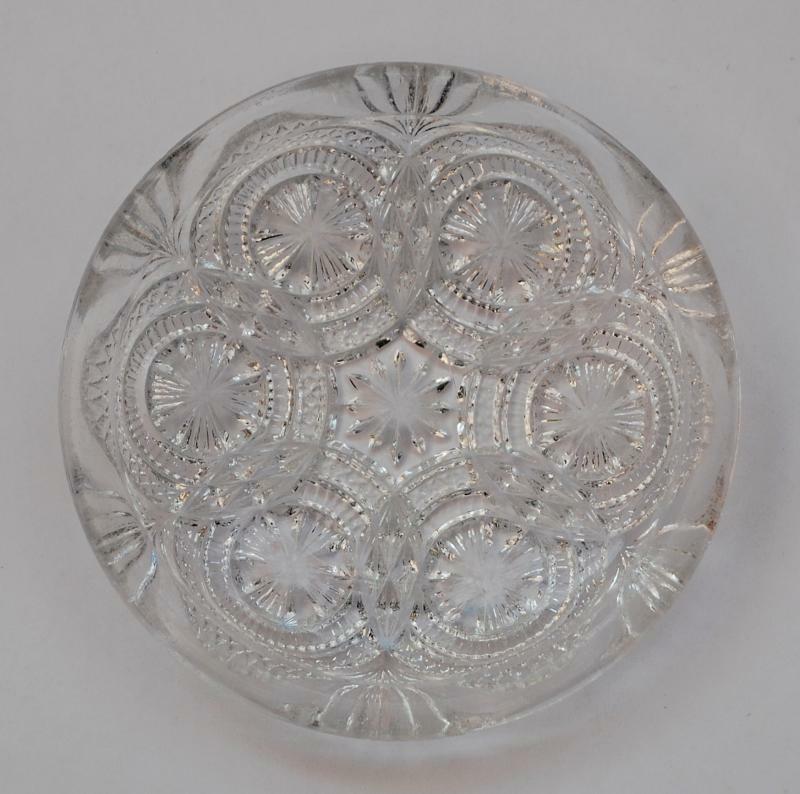 PRESSED GLASS BUTTER PAT c.1880.